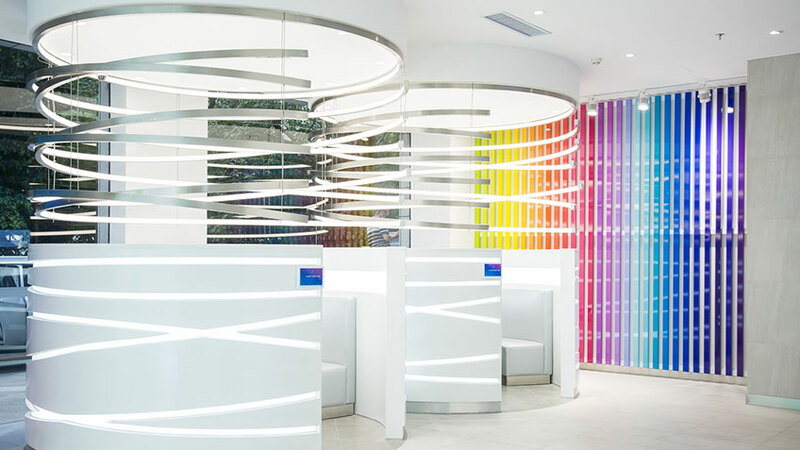 On November 23, 2018, Nu Skin officially unveiled their new experience center, Nu Xtore, in Shenzhen, China. Designed by Shikatani Lacroix Design (SLD), the state-of-the-art Nu Xtore features an increased focus on the customer experience and incorporates the latest in design and technology. 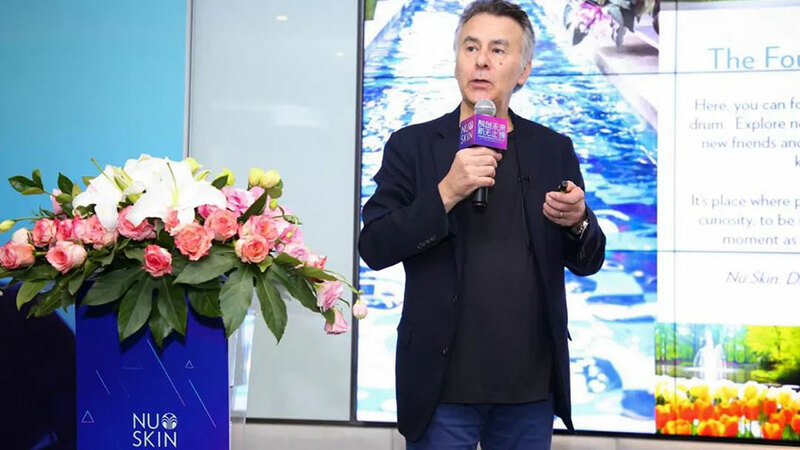 Jean-Pierre Lacroix, SLD’s president, and Teddy Ma, Managing Director, Pacific Rim, were in attendance at the grand opening. 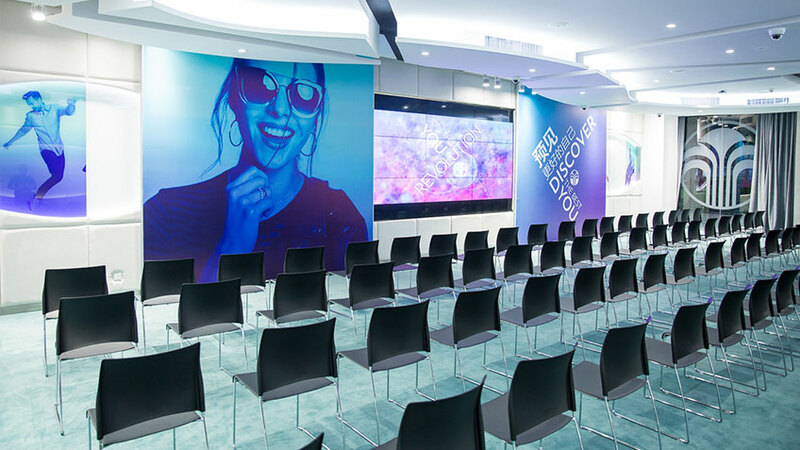 As part of the celebration, SLD presented the design concepts and rationale behind the new experience center. 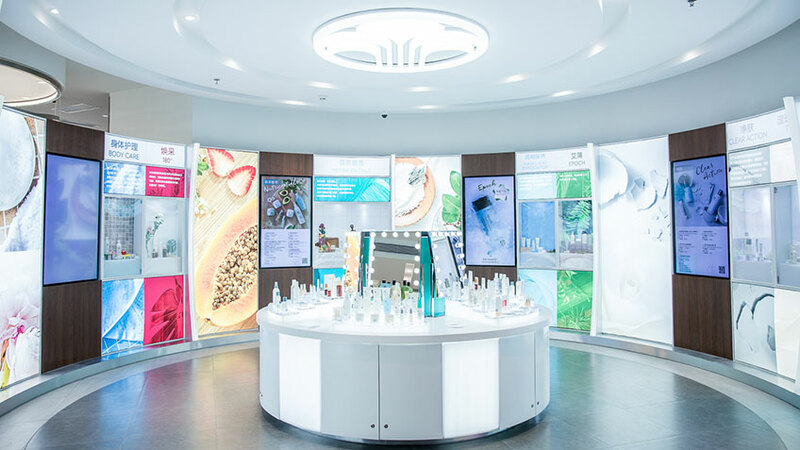 Incorporating Nu Skin’s history and high-quality products, Nu Xtore creates an immersive experience for shoppers and business partners that supports the idea of “discovering the best you.” The addition of interactive technology allows customers to gain a further understanding of their health and body, while an improved store layout that is centered around the “Fountain of You” communicates Nu Skin’s brand essence and values. 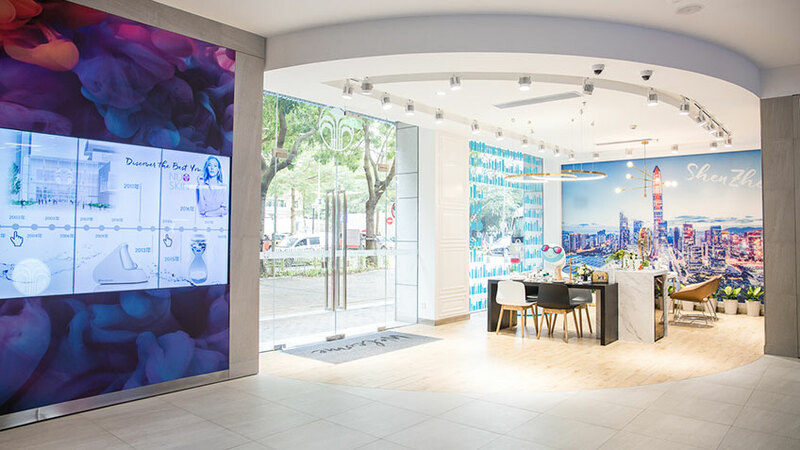 Nu Xtore’s are expected to be opened in cities across China, further solidifying Nu Skin as an industry leader in rewarding business opportunities and innovative beauty products.